Looking for family events or classes for your little one to attend? Our Events page is full of things to do! Find out about the latest parent and child expos, kids markets, coffee groups, children's entertainment, santa parades and more! Take a look at our Kids Activities page for ideas too or email us about your own events and we’ll add the details to this page free of charge! 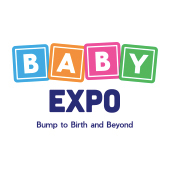 The Baby Expo is coming to 4 locations in 2019! 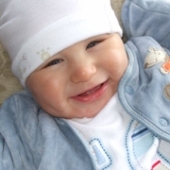 Discover all you need to know for you, your pregnancy or young child. Gain expert, up-to-date advice from our diverse range of exhibitors and experiment with products and services to find what best suits your needs. A Complimentary Creche, Buggy friendly aisles, Baby Change, and Mother Rooms are provided onsite to ensure you have everything you need to visit in comfort. A huge range of products and services will be on show, along with seminars, demos, and workshops. Exclusive offers, activities, and competitions are also provided – this show is not to be missed! Pop in on Tuesday or Thursday morning and we have a little something special for you. We dedicate our lovely Guest Room to parents and little ones. This is the perfect space – a large enclosed area with comfy couches and carpet to crawl around on! We also have one of our wonderful staff members on hand – who’ll help to keep your wee one happy while you kick back with a coffee and relax. During these Cross Critter mornings, between 10am-12pm we have a professional massage therapist, offering up some relief for all of you hard-working new parents. Enjoy a FREE 10 minute back, neck and shoulder massage while our lovely staff member takes your baby off your hands… heaven! We love brunch as much as any good Wellingtonion – it’s one of our favourite times of the week! Every Saturday and Sunday from 10am-2pm, our place is the perfect spot to bring your family and friends for a bite to eat. We’ve got the kids covered, with craft tables set up, colouring activities, facepainting, toys and kid-friendly staff ready to get involved! On the second Saturday of the month we host free Interactive Kids Theatre - the actors and kids recreate classic fairy tales, using dress ups, props and creative minds! On the fourth Saturday of every month we host a free Puppet Show & Workshop. Fingal and her puppet friends have an exciting tale to tell, and their show will be followed by a puppet making workshop. These shows both start at 11am, and take place in the Guest Room. 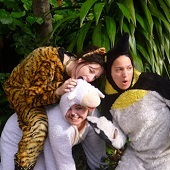 Check out our website www.thecross.co.nz for all the latest event information and dates, or sign up for our special Cross Critters mailing list and keep up to date with the kid-friendly happenings at ours. Our monthly email will inform you of the upcoming activities, specials and events. Any children from the ages 0-5 are welcome with their parent or caregiver. We offer many types of different play, from arts and crafts to messy play, dress up to more physical play like tricycles or a mini jungle gym. Come join us for morning tea, fruit and crackers for the kids, a cuppa and something sweet for the adults. 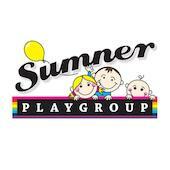 For more information visit the Sumner Playgroup Facebook page or email sumnerplay@gmail.com. Open Mon – Thu 9am – 9pm and Fri & Sat 9am – 4pm. Closed Sun. Our Kids Corner offers an array of activities in this space including toys for both boys and girls, pens and colouring pages, as well as books to read. We also have a café on site, so when the kids play – parents are welcome to grab a bite or a coffee. The Kids Corner is suitable for under 1’s through to 4 year olds and we will be running additional craft activities and screening of films in our theatre every Tuesday & Friday morning. Come and join us – it’s FREE to attend! 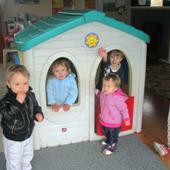 Find us at 35 Uxbridge Road, Howick, Auckland or visit www.uxbridge.co.nz for more information. Spend a magical time with your preschool children (12 months – 5 years) at StoryPlace, exploring the New Zealand natural environment through play & make-believe. We offer fabulous stories, drama, puzzles, games, and art activities – every day of the year! Our session times are 9.30am, 10.30am, 11.30am, 1.30pm, and 2.45pm. Want free nappies? Come along to one of the Nappy Lady workshops and learn all about your nappy options and how you can save lots of money. 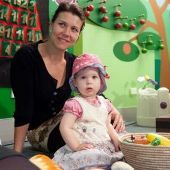 Workshops taken by the Nappy Lady – Kate Meads throughout the year. 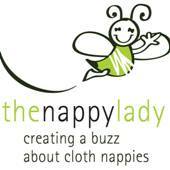 Check out dates and venues of The Nappy Lady Workshops near you. The transition to parenthood is a time of many changes. PEPE groups can play a significant role in helping parents through this process. The highly popular storytimes are sessions of stories read by librarians and sometimes, by authors or other guests. 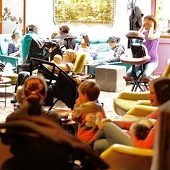 Where kids meet kids & mums meet mums (and Dads, Grandparents & Carers!). Suitable for newborns to 5 years. Everyone’s welcome! Coordinator and mum run playgroup with lots of toys for educational and free play, craft activities, great outdoor space with sandpit and ‘mat time’ at the end with music & stories. Costs $4 per family. Please bring a piece of fruit for shared morning tea. 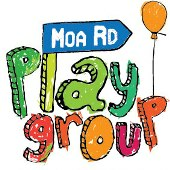 We are a little playgroup situated in Brightwater Community Church Creche, on Ellis Street, next to Snowden Bush Reserve, Nelson . We meet every Wednesday 9.30am - 11.30am, morning tea and fun provided. Cost $2 dollars per family. Come and join us, everyone welcome!